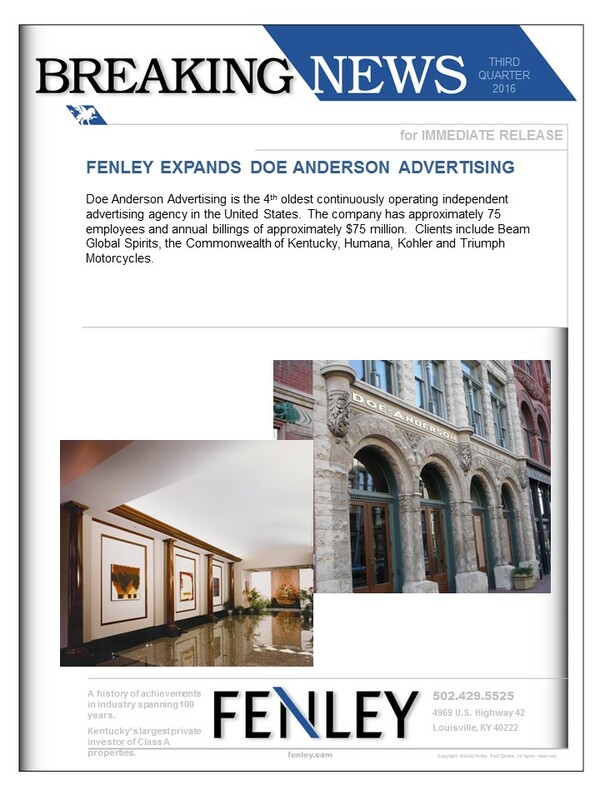 Doe Anderson Advertising is the 4th oldest continuously operating independent advertising agency in the United States. The company has approximately 75 employees and annual billings of approximately $75 million. Clients include Beam Global Spirits, the Commonwealth of Kentucky, Humana, Kohler and Triumph Motorcycles.